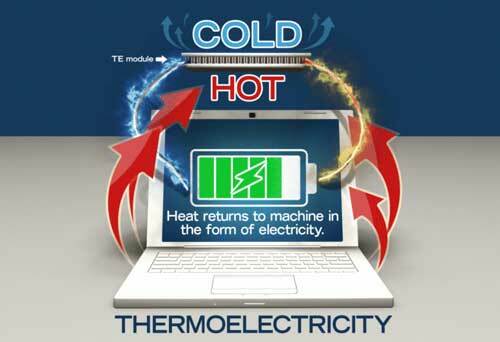 (Nanowerk News) A team of physicists in Clemson University’s College of Science and Academia Sinica in Taiwan has determined why other scientists have been unable to replicate a highly influential thermoelectricity study published in a prestigious, peer-reviewed journal. In the April 2014 issue of the journal Nature ("Ultralow thermal conductivity and high thermoelectric figure of merit in SnSe crystals"), a group of scientists described an emerging crystalline material made of tin selenide that provided the highest efficiency ever recorded for thermoelectricity, the process of capturing wasted energy which is released as heat and making it available again as electricity. The paper has been viewed 45,000 times and its findings have been referenced in 600 subsequent studies, according to Google Scholar. On Nov. 3, 2016, Nature ran a brief communication by the Clemson-Sinica team explaining why the 2014 data could not be replicated ("The intrinsic thermal conductivity of SnSe"). Rao; Podila; Sirparna Bhattacharya, a research assistant professor in astronomy and physics; and Jian He, an associate professor in physics and astronomy at Clemson and a thermoelectrics expert, performed their own study on tin selenide in collaboration with Academia Sinica’s Institute of Physics in Taipei.